The curvature of the skyline might give the impression that this cruise ship is so huge it was photographed from the International Space Station by “Major Tom” Commander Chris Hadfield. 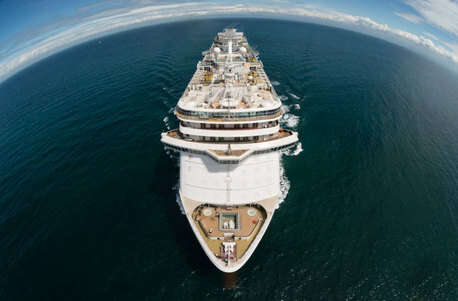 But I suspect that the image of Royal Princess was shot from a helicopter using one of those expensive fish-eye lenses I could only dream of attaching to my Canon. The ship was undertaking its final sea trials in the Adriatic. 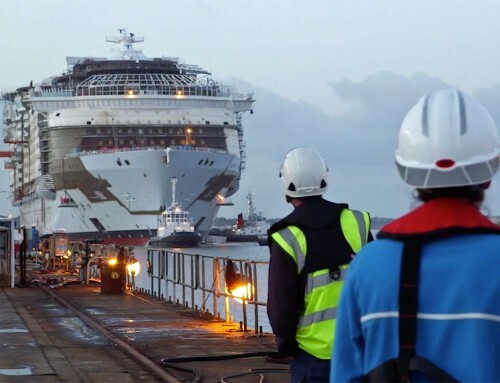 It’s now back at the Fincantieri yard in Monfalcone, Italy where crew are arriving and the final countdown is being made for the hand-over to Princess Cruises on May 30. Royal Princess will then be sailed to Southampton – arriving June 7 – and a naming ceremony on June 13 with the Duchess of Cambridge as godmother. The ceremony will include an appearance by Natasha Bedingfield (below) and performances by the The Band of Her Majesty’s Royal Marines Portsmouth, and the pipers of the Irish Guards. 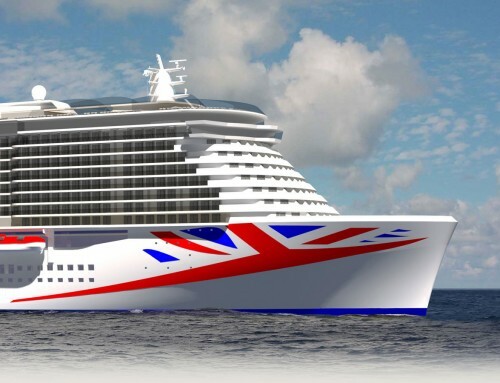 The ceremony will be the highlight of week-long inaugural celebrations at Southampton’s Ocean Terminal. 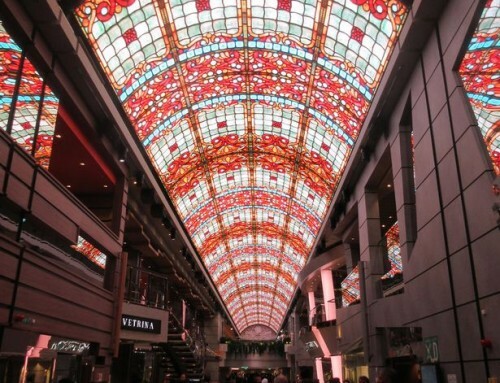 Royal Princess will depart on her maiden voyage, to Barcelona, on June 16.